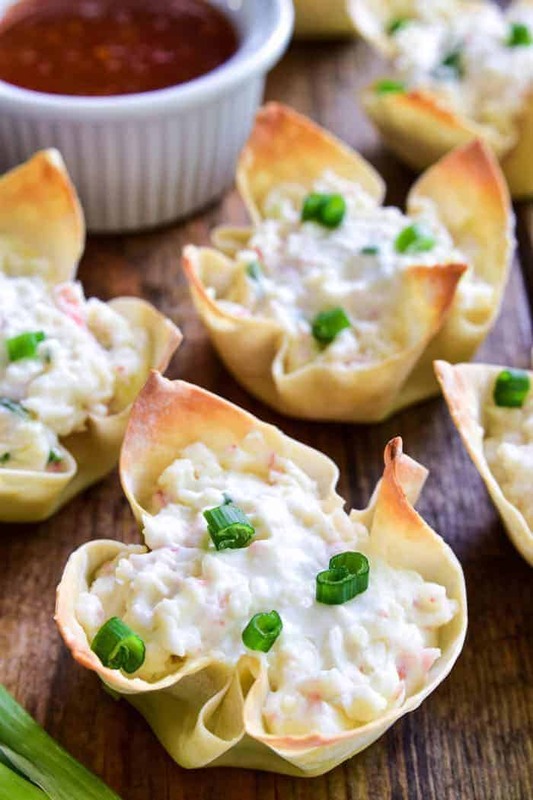 If you love crab rangoon, you’ll LOVE these baked Crab Rangoon Wonton Cups! They have all the flavors of your favorite Chinese appetizer in a baked wonton cup, which means they’re not only better for you, but they’re so much easier to make. Ready in 30 minutes or less, these bite sized wontons are the perfect appetizer for all your holiday parties….and guaranteed to be a HUGE hit. Serve them straight out of the oven or dip them in your favorite sweet & sour sauce. 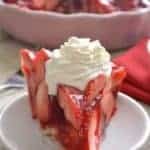 Any way you enjoy them, there’s no question that this recipe is sure to become a favorite! The weekend is finally here! Yay! And this weekend I’m especially excited….because Jorden has been out of town, which means I’ve been single momming it all week. He gets home tonight….and I can’t tell you how excited I am to get a little break from everything. To let someone else take over while I kick my feet up and relax. Think it will happen? Hmmmm. I can always hope, right? One thing I can guarantee is that tonight we’ll be getting takeout. Which, if the girls have anything to say about it, will probably be Chinese. I’m not sure what it is about Chinese takeout, but I’m pretty sure my kids would choose it EVERY time if we let them. And actually, now that I think of it, I know exactly why. It’s the crab rangoon. Does your family LOVE crab rangoon as much as mine does? Not that they don’t also love the rest of it (specifically the orange chicken)….but I guarantee we could make a meal out of the rangoon. I mean….can you blame us? Is there anything better than gooey cream cheese and sweet crab meat tucked inside a pocket of fried goodness? It’s hard to beat. 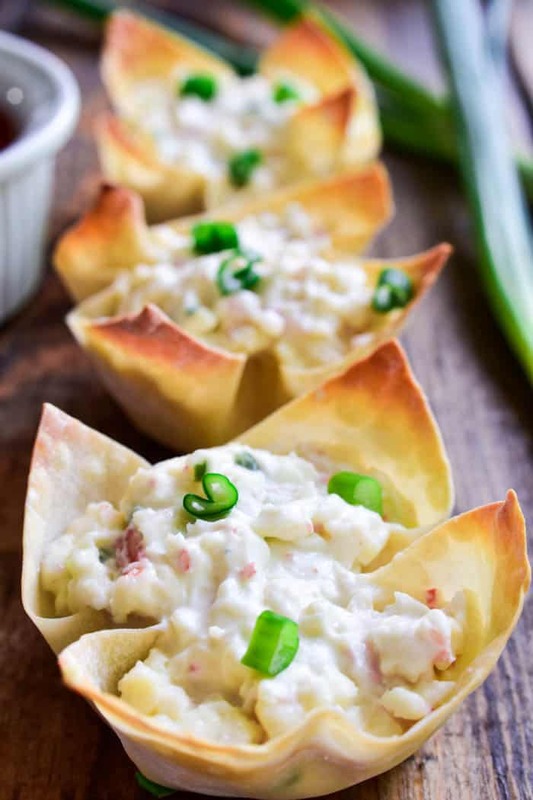 But these Crab Rangoon Wonton Cups definitely give our Chinese favorite a run for its money. Not only because they’re PACKED with the most delicious cream cheese & crab filling, and not only because I love the crispiness of the wonton wrappers, but because they’re BAKED (not fried!) Which means they’re so much easier to make and so much better for you than traditional crab rangoon. But that’s not even what I love most about this recipe. What I love most of all is the fact that you can’t help but drool just looking at them. Which makes them the PERFECT appetizer choice for holidays, game days, or cocktail parties. 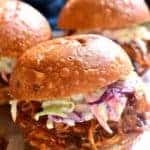 Just be sure to make enough, because if there’s one thing that’s true about these little bites, it’s that they keep you coming back for more. Of course, I’m a little biased….due to the fact that I clearly have a thing for wonton cups. But I can guarantee that once you try them, you’ll have a thing for them too. Between my Jalapeño Popper Wonton Cups and my Southwest Chicken Wonton Cups and my Buffalo Chicken Wonton Cups, there’s something for everyone. And if crab’s your thing? 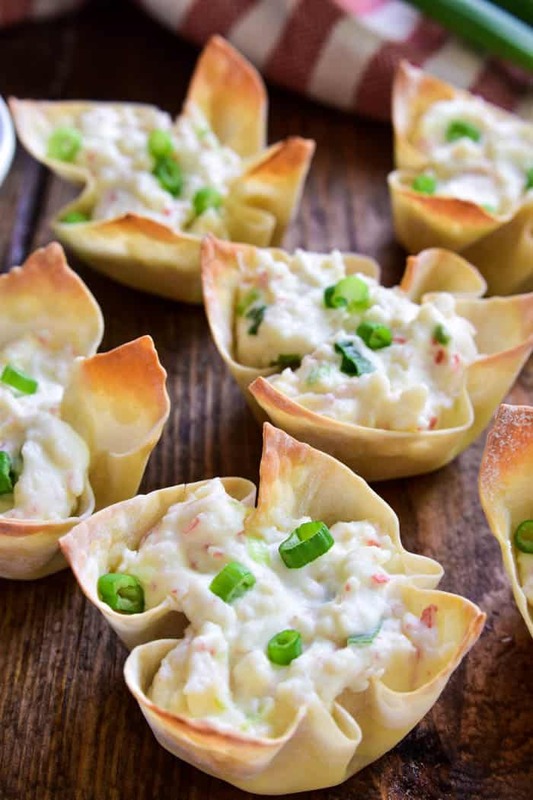 These Crab Rangoon Wonton Cups are definitely for you. In fact, they have me re-thinking our whole plan of ordering takeout. Because if the appetizer is the whole reason why….why not just make the appetizer into the meal? At home? I’m pretty sure my kids would miss their orange chicken too much, but if it were up to me, I’d eat these wontons for dinner any night of the week. I’m so glad the holidays are just around the corner, and that the Super Bowl is just after that. 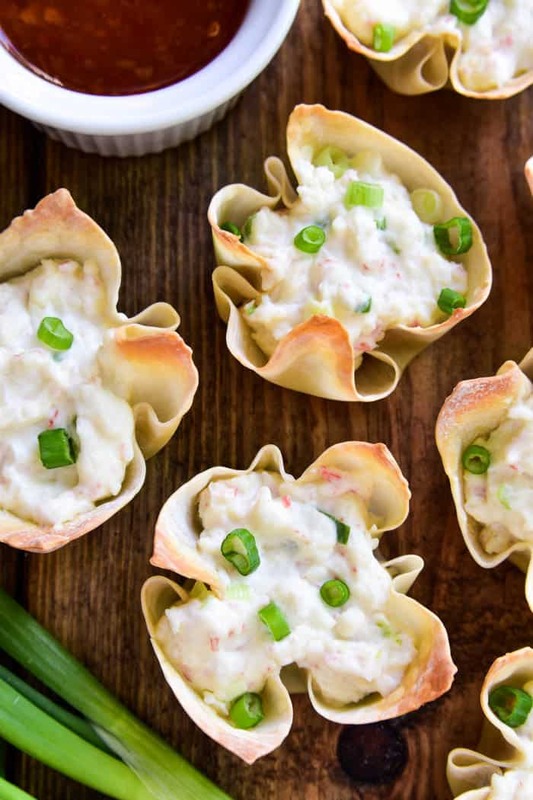 SO many reasons to make these Crab Rangoon Wonton Cups. If you’re looking for a reason, that is. Pre-bake the wontons. In order to get the crispiness you’re looking for, you’ll need to pre-bake the wonton wrappers for about 10 minutes. This can be done in advance for time-saving purposes. 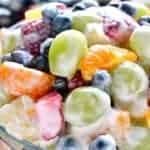 Use a food processor. I found that in order to get the texture I was looking for, a food processor was best. 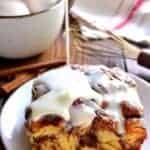 If you don’t have one, a hand mixer can be substituted but the texture will be slightly altered. 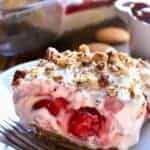 Use all the filling! It will seem a bit like you are over-stuffing the shells, but don’t be afraid to load them up. If you prefer less filling, feel free to make more wonton shells and fill each one less full. Choose your favorite crab. 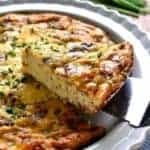 I tried this recipe with canned lump crab and with imitation crab. I found I preferred the flavor of the imitation crab, but if you prefer lump crab meat you can feel free to use that instead. 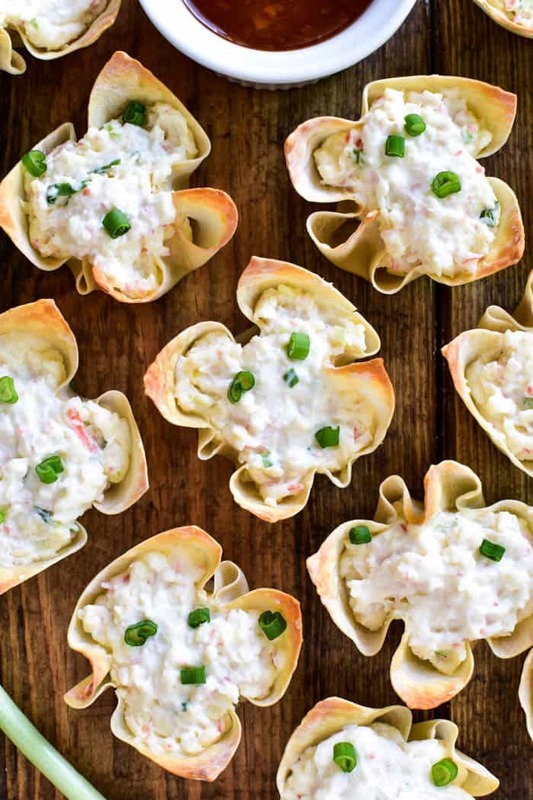 I hope you enjoy these Crab Rangoon Wonton Cups as much as we do! 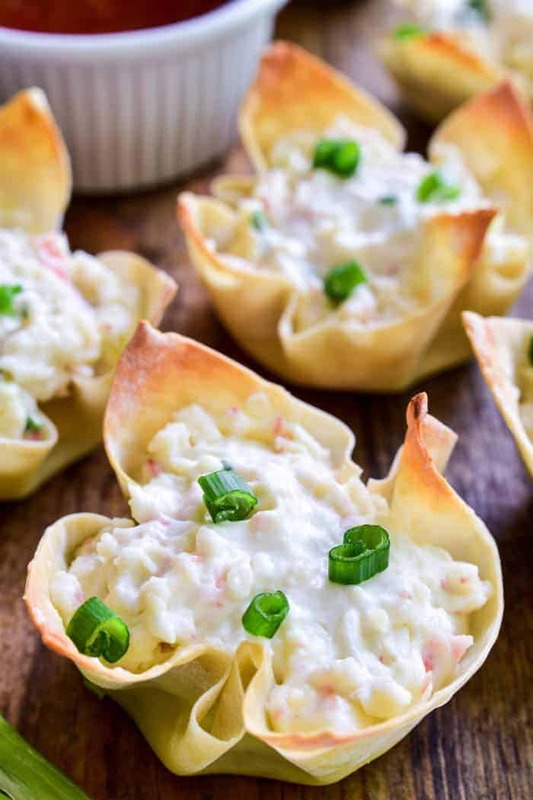 If you love crab rangoon, you'll LOVE these baked Crab Rangoon Wonton Cups! 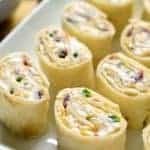 They have all the flavors of your favorite Chinese appetizer in a baked wonton cup, which means they're not only better for you, but they're so much easier to make. Ready in 30 minutes or less, these bite sized wontons are the perfect appetizer for all your holiday parties....and guaranteed to be a HUGE hit. Serve them straight out of the oven or dip them in your favorite sweet & sour sauce. 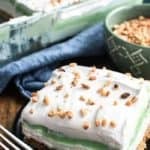 Any way you enjoy them, there's no question that this recipe is sure to become a favorite! Place one wonton wrapper in each muffin cup; bake 10 minutes or until edges begin to brown. In a medium mixing bowl, combine cream cheese, sour cream, 1 sliced green onion, worcestershire sauce, and soy sauce. Stir well. Place crab in a small food processor and process until finely chopped. Stir chopped crab into cream cheese mixture. Spoon filling into baked wonton shells; bake for an additional 8-12 minutes. Top with sliced green onions. Serve with sweet & sour or sweet chili sauce as desired. **For a more intense crab flavor, use 8 oz. cream cheese and 8 oz. imitation crab and keep the other measurements the same. I would devour these things! The only reason I need to make these is that they look ah-mazing!! Love crab rangoon! 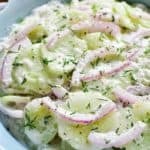 I think I might add this one to my Christmas Eve appetizer menu. Thank you! Do you think I could use mini Phyllo shells? I think it would be fast and delicious! 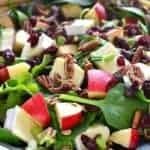 What a great appetizer option! I love them! These cups will be gone in no time here! So delicious! Everyone needs these at their New Years Party! Love them! Could you use fillo cups instead? I’m going to make these with fillo today. This was amazing and so easy to fix. Everybody loved them and they were gone.